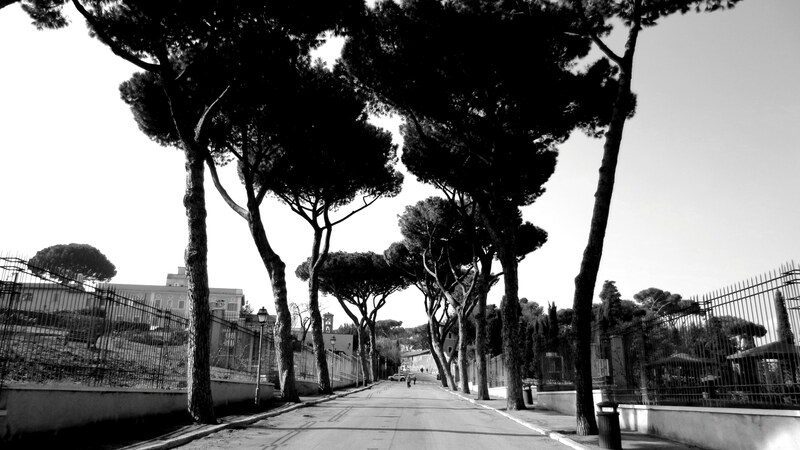 The last days in Rome went by in a blink. Suddenly it was Monday morning and we had to go to the airport to head to the north, leaving wonderful sun shine and nice food for roads covered with sloppy, half way melted snow and mostly grim people. 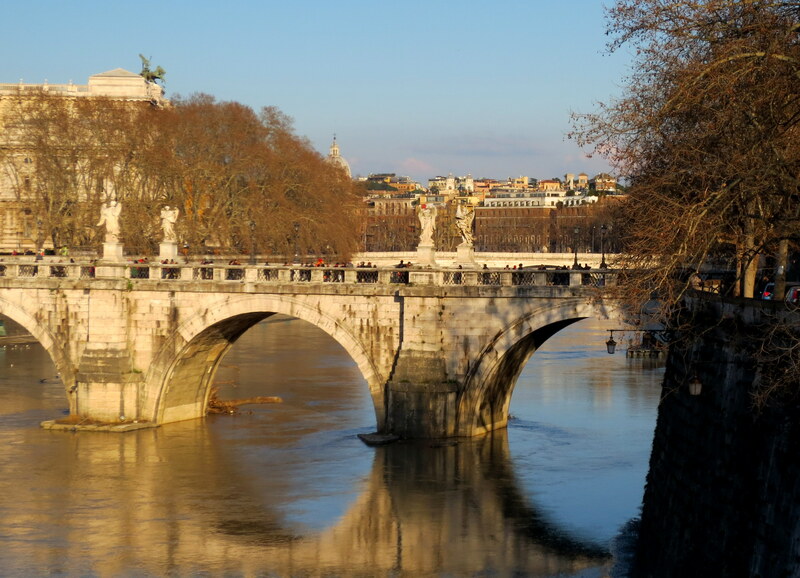 We had used the last days in Rome to spent some time with our dear friend B and to see some last sights. We went together to the grocery store to stock up on cheese (yes, we brought about 4kg of cheese: 3kg Parmigiano Reggiano and 1kg of other cheese), thick spaghettis and biscotti. Ecky got a new Kinley he loves. We had dinner together and she brought us to the airport, which was just lovely. 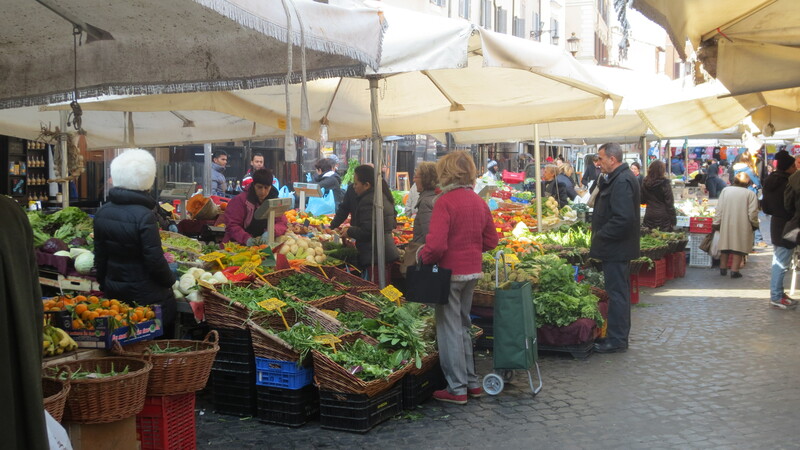 Saturday morning we went to the Campo de’ Fiori (market of flowers), the only square in Rome without a church. 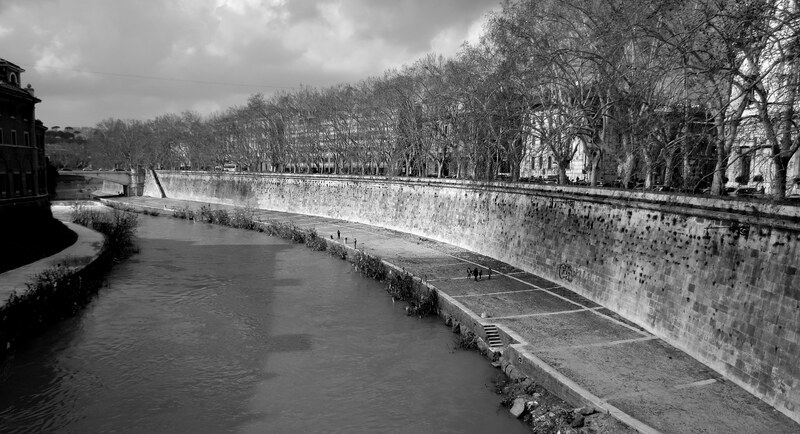 Which isn’t a wonder since the square was used for executions e.g. to burn the philosopher Giordano Bruno on February 17th 1600. The square hosts a food market in the morning hours and in the evening it turns into a square with a lot of bars and restaurants. 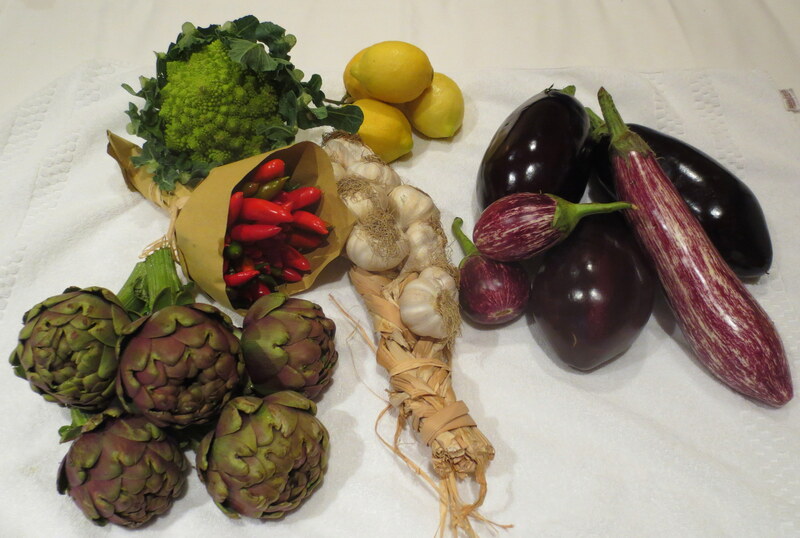 We went there early to get fresh vegetables (eggplants, artichokes, lemons, peppers, garlic) to take home with us. 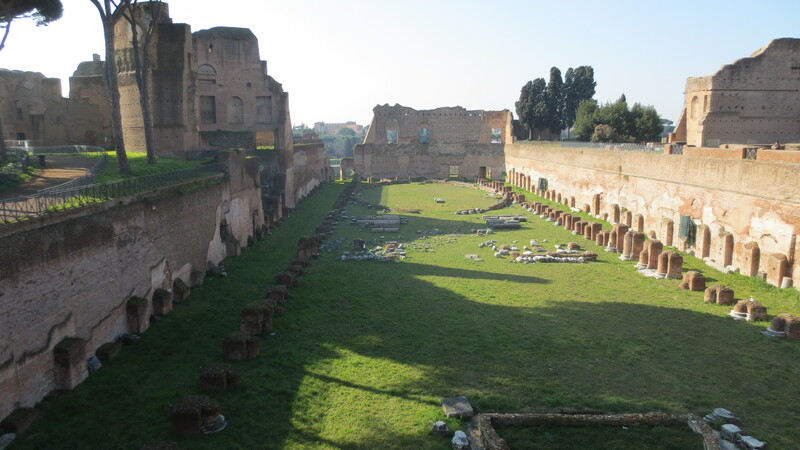 After the visit at the market we went to see the Palatine hill, where the rich Romans used to live. Nowadays it’s a hill full of remains of former villae with big pine and citrus fruit trees. 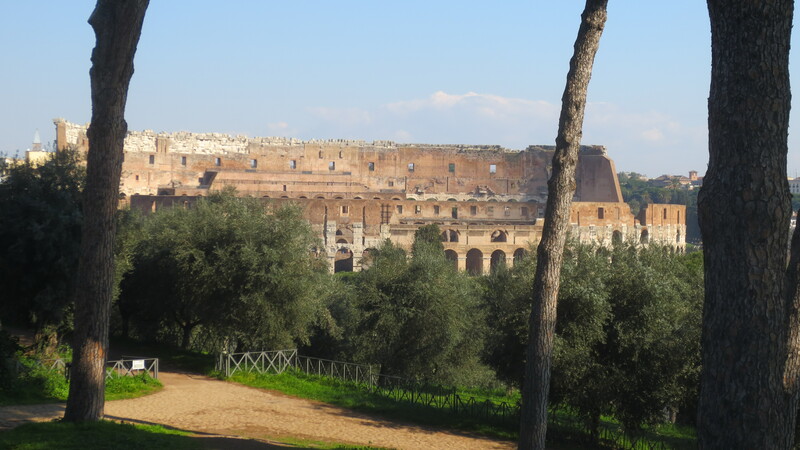 Since it was just after 10am when we arrived the amount of tourists wasn’t too bad and we could enjoy a wonderful walk and the view over the Forum Romanum. Then our bellies started to cry for food and M suggested Pizza Forum, where we had eaten the day before. In our opinion, as our guide said, it’s the best place for pizza in town. This time we got a pizza regina with provolone, mozzarella di buffalo and parmigiano reggiano for me and a pizza quatro formaggio for M. After the lunch we headed back to the hotel for a nap. We ended the day with having a nice dinner close to our hotel after we had visited the Fontana di Trevi (Trevi Fountain) and the Piazza di Spagna (Spanish Steps) at night. 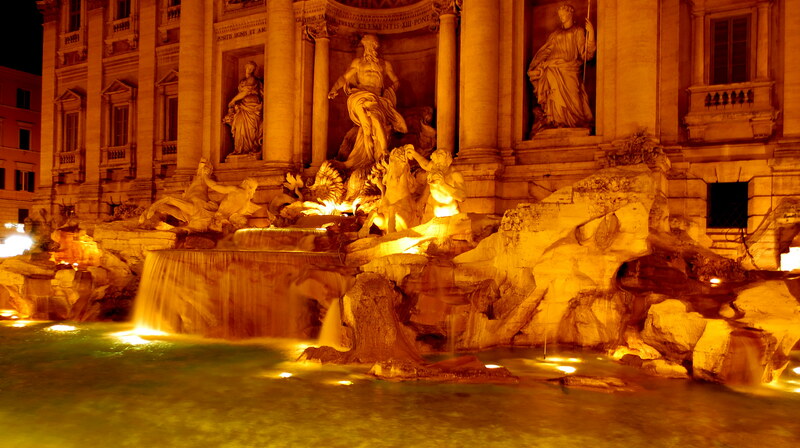 The Fontana Trevi is beautifully illuminated during night but as during the day time packed with tourists and street sellers. 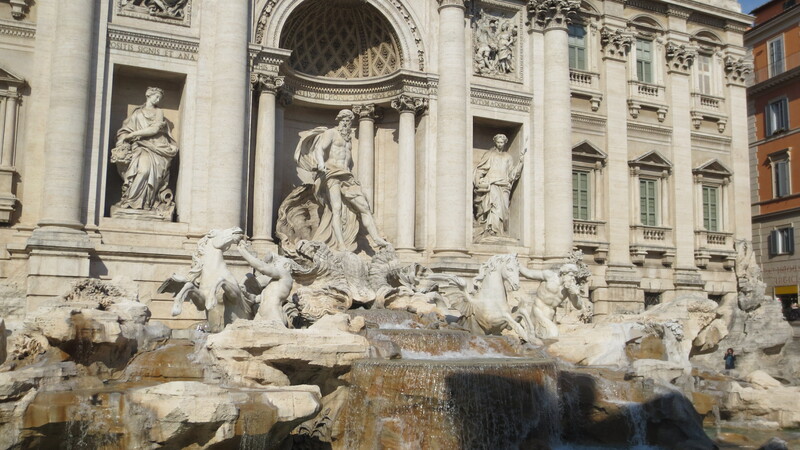 The Spanish Steps weren’t as impressive as the Fountain. But then we found a place to have lunch. Can you guess where we ended up? -Right at a pizzeria. The pizzas were ok, but far not as good as the ones from Pizza Forum. After lunch we looked closer at Trastevere and bought some shoes, outdoor shoes for me and slippers for M. This way we even had a box to send a gift to Finland and to pack our eggplants a bit more squish-safe for the way home. We went back to the hotel and when M hit the bed for a nap, he passed out until it was time to take the bus back to Trastevere to meet B for dinner. Well, we still don’t know why the bus driver speeded hilariously through the tiny roads of Rome making people escape when they saw the bus, but for sure we won’t forget that ride. We had so much fun and were just laughing all along until we reached Termini where we had to change. We told B about it and she enjoyed such a bus ride later too. The next day we flew home and were greeted by a cheery Ecky when we picked him up from our friend. 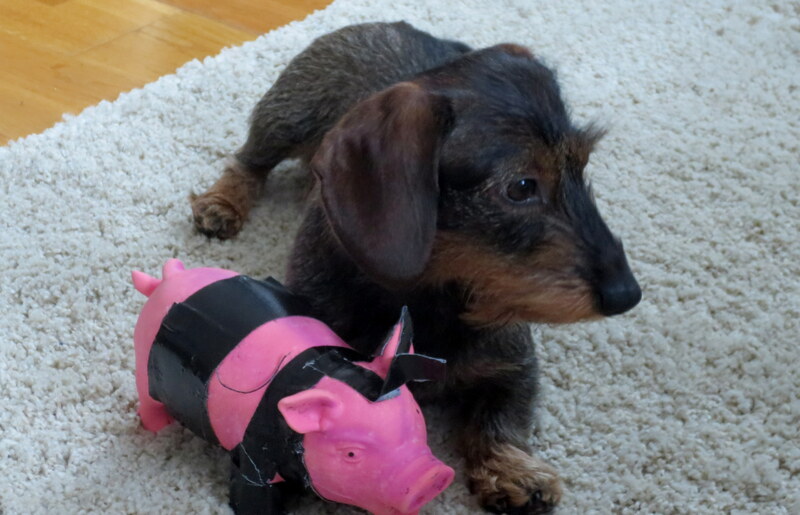 He found pretty soon that we had something for him in one of the suitcases – a new piggy. That we’ll have to share the cheese we brought home with Ecky isn’t a question at all. The new piggy is still alive but had to undergo several surgeries since Monday night. 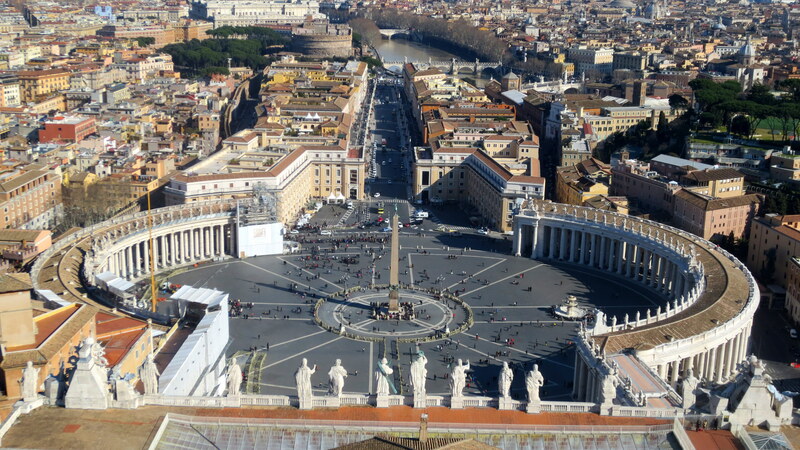 Rome and Florence two very interesting places to visit, stuffed with history and ancient buildings to discover. The Italians seem to know how to park a car side ways, which I would love to see in other countries too. They are kind of relaxed about traffic and you get the idea they drive like drunken sailors, but no, not at all they pay attention and crossing a big road even in Rome isn’t a big deal at all. You cross and they stop. 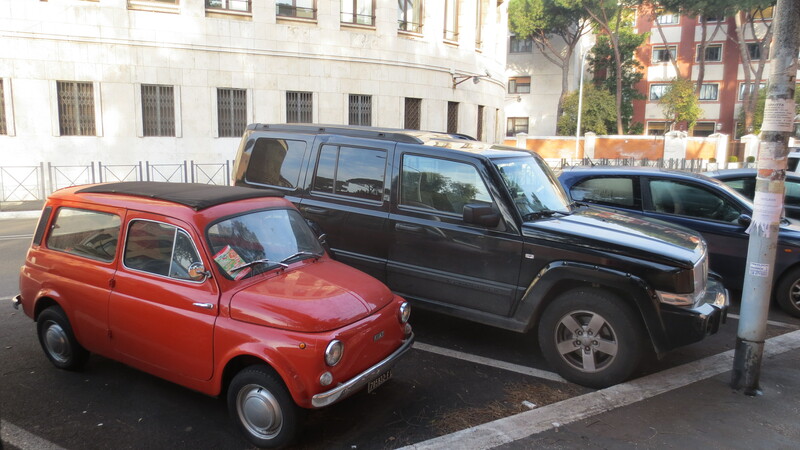 While Americans and in a lot of European countries the size of the cars is big, bigger, the biggest the Italians seem to go for small, smaller, the smallest. How much can I fit in a tiny car seems more like a competition than a problem. An American SUV and a tiny old Fiat 500 next to each other. When you see those two next to each other you really ask are those huge, gas swallowing SUVs really necessary? And then we had to work and a lot. 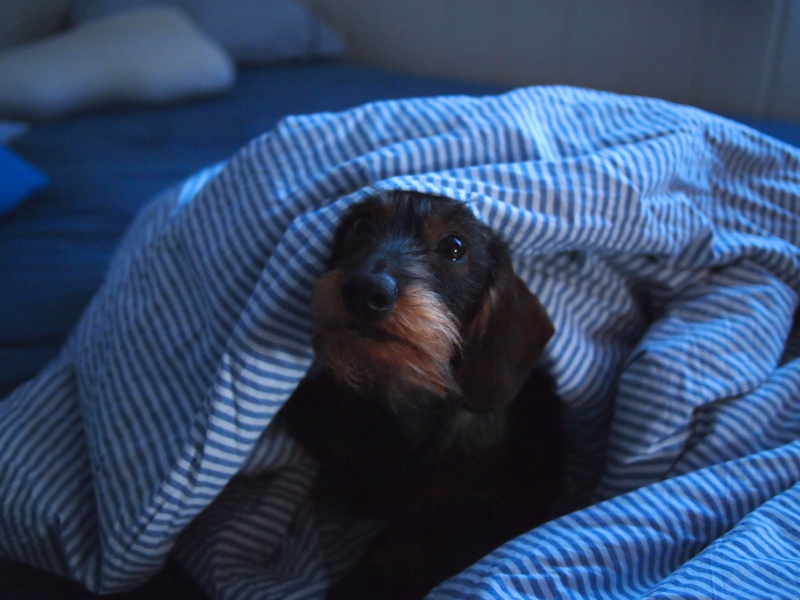 I spent 12 hours at the office the first day after the vacation and went straight to bed when I came home. The rest of the week wasn’t that much easier either. But Friday night then two friends came over to prepare the eggplants. 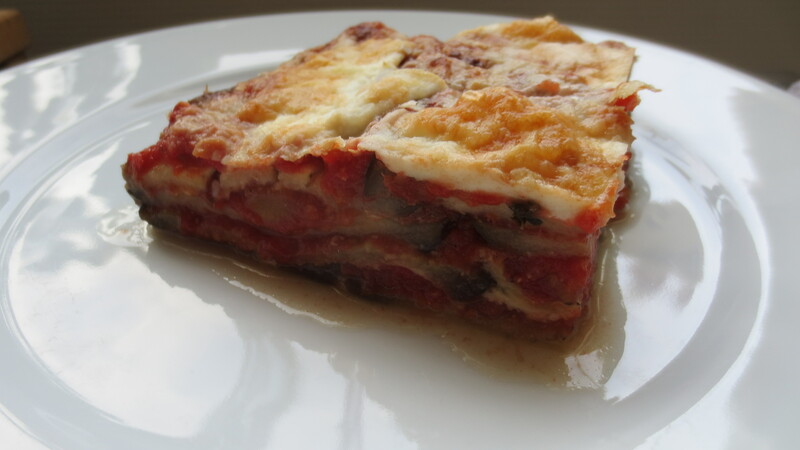 We made parmigiana and one friend had brought a yoghurt cake for dessert. Well, no other comment then yummy is needed here. 🙂 It was a very nice evening to catch up and relax. Today then two other friends joined for breakfast. 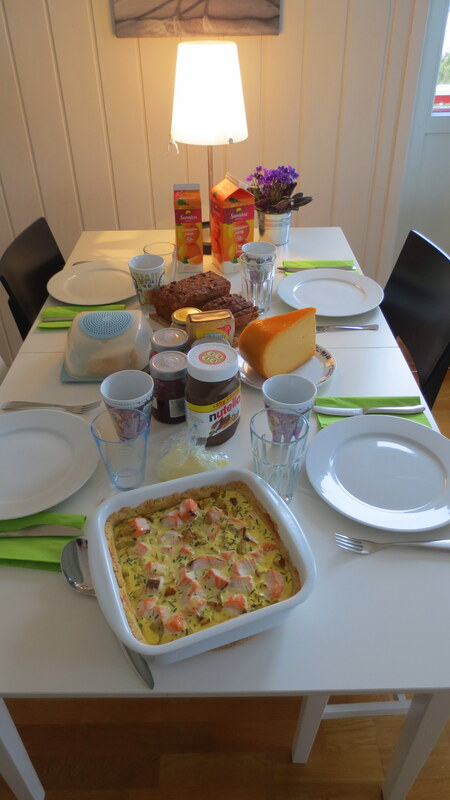 For today I’d prepared rye bread with seeds, buns, a salmon potato quiche and oatmeal pancakes. – Nothing special on our side. But our friends had made a thai spread for on top of breads. It contains peanuts, coconut milk, potatoes and thai spices. 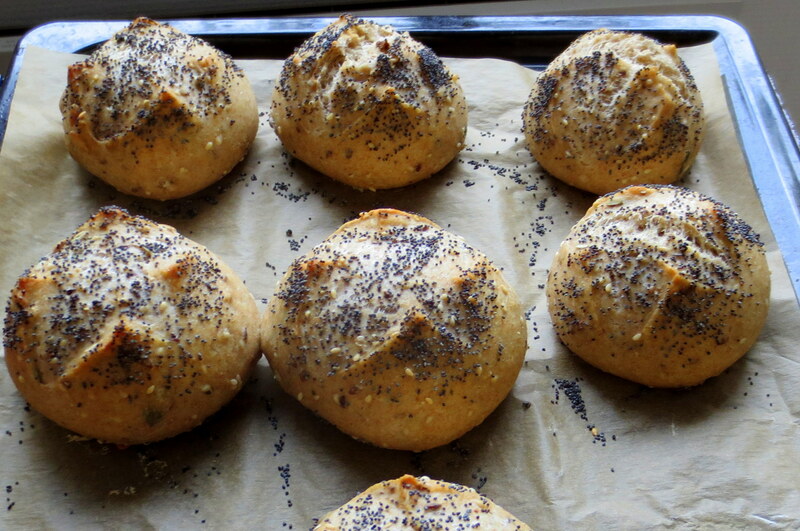 It tastes very good and is very mild just with a tiny spincy bang in the end. I’m sure it’s great together with tofu. Until the next vacation we have to wait another two very long months. Fortunately Easter is soon and we’ll have off from Thursday until Easter Monday. Whohooo!